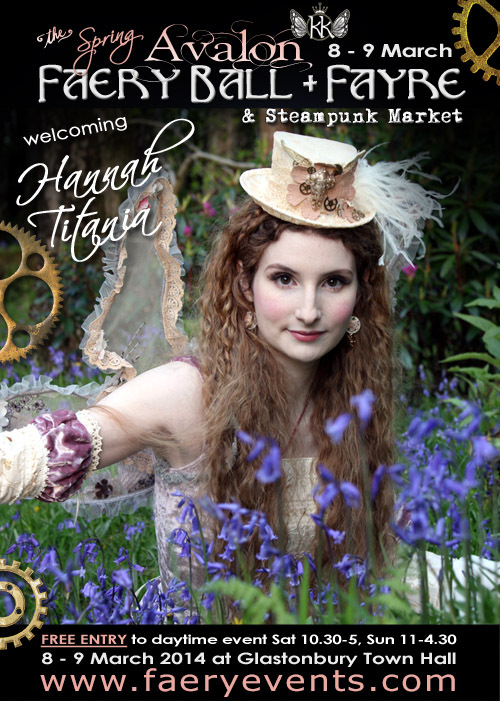 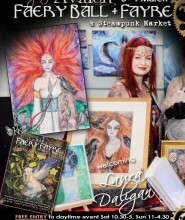 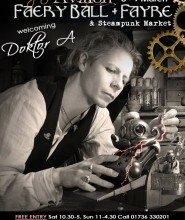 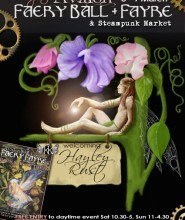 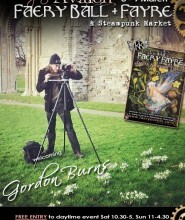 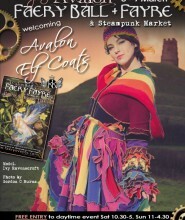 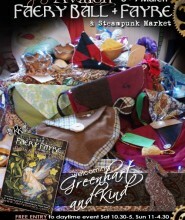 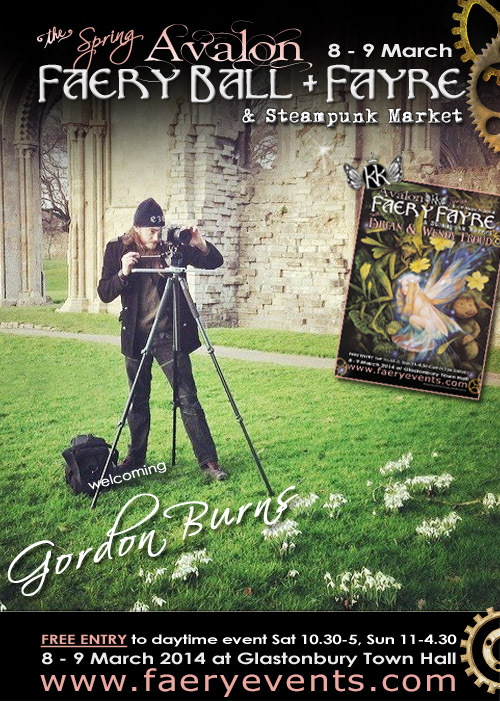 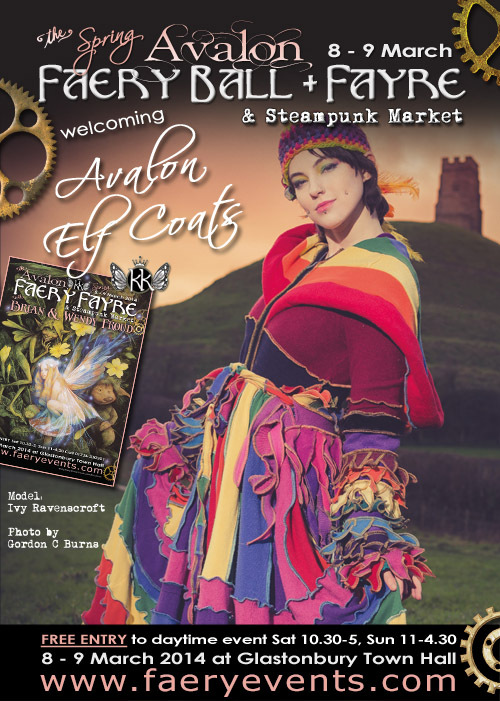 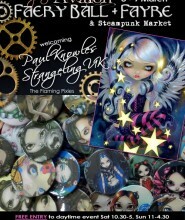 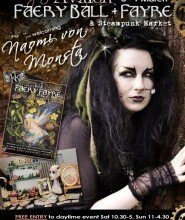 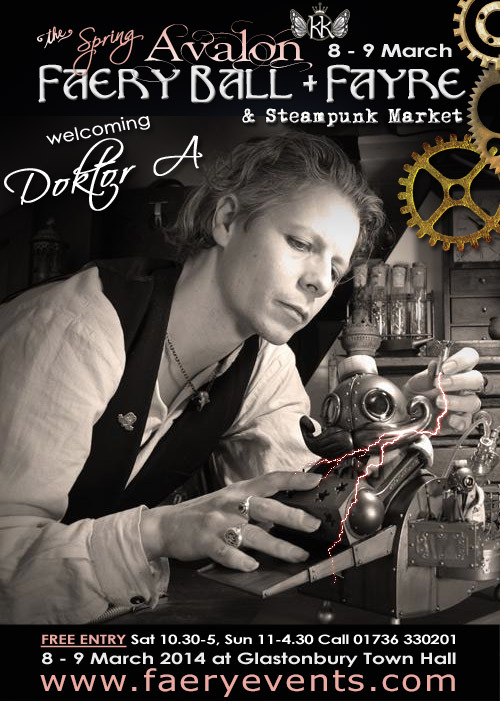 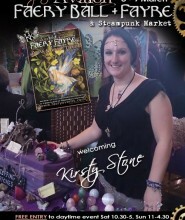 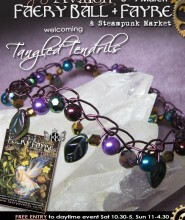 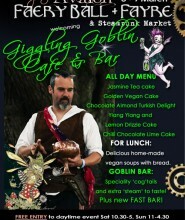 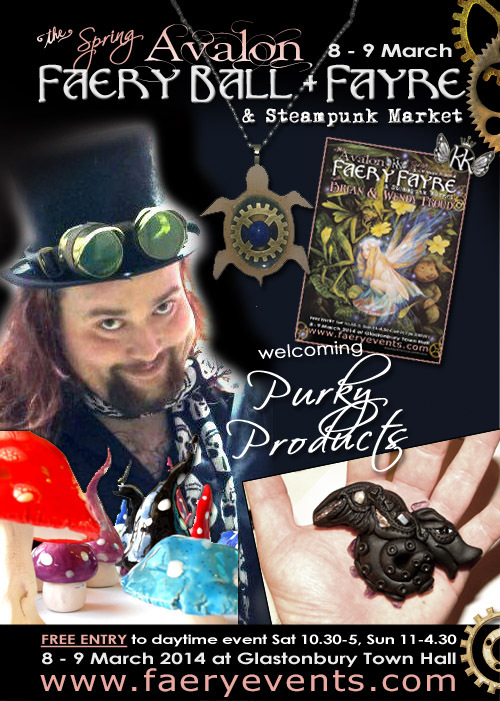 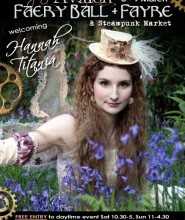 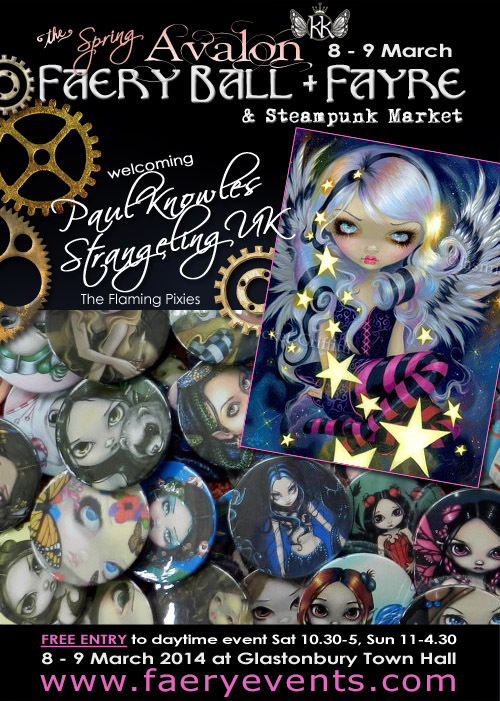 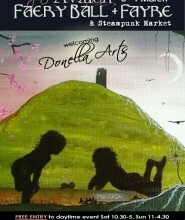 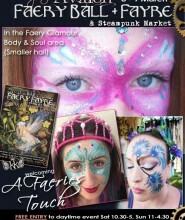 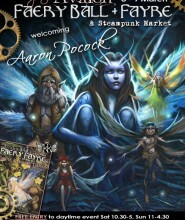 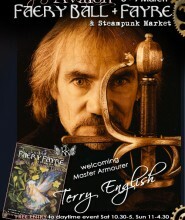 It’s ‘Full Steam Ahead’ for the spring Avalon Faery Fayre and Steampunk Market at Glastonbury Town Hall (Somerset, UK). 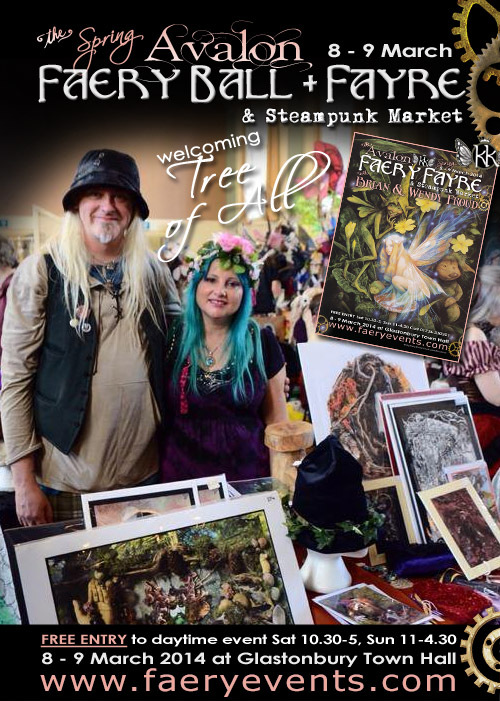 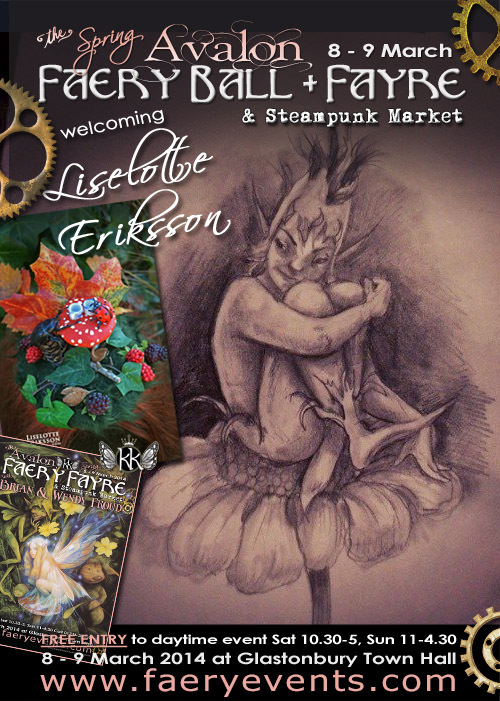 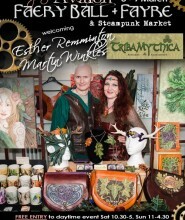 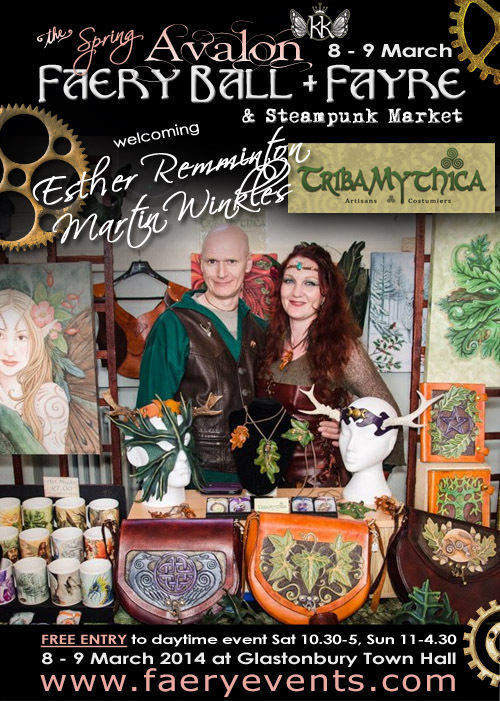 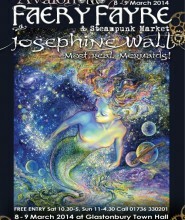 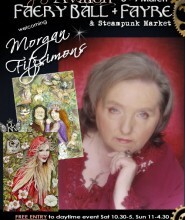 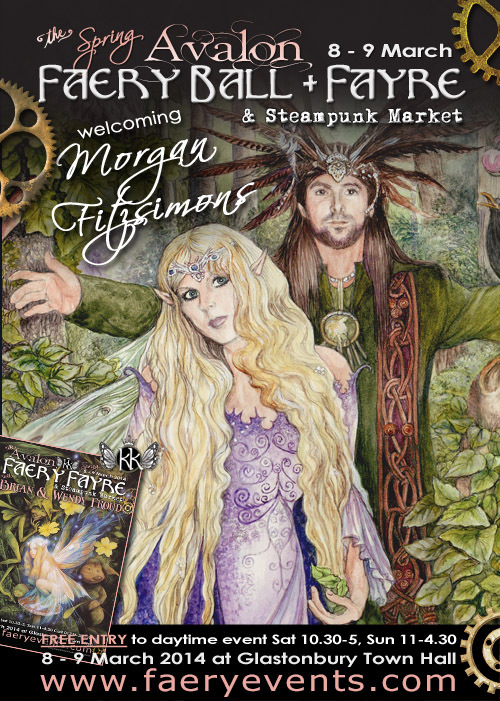 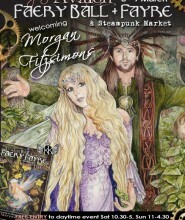 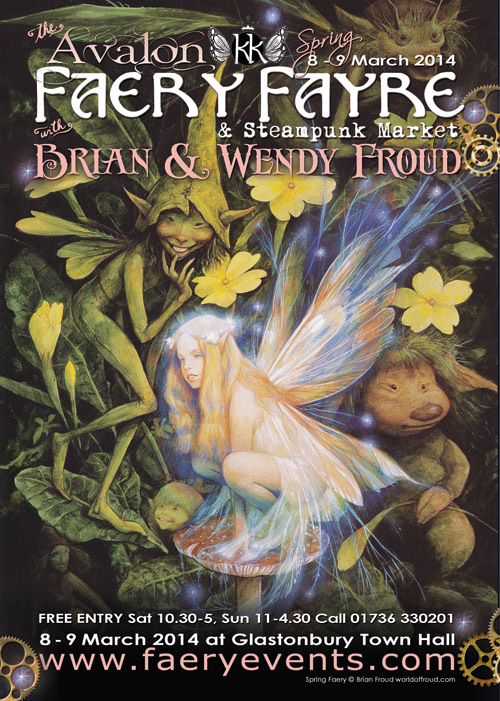 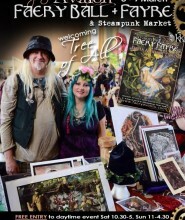 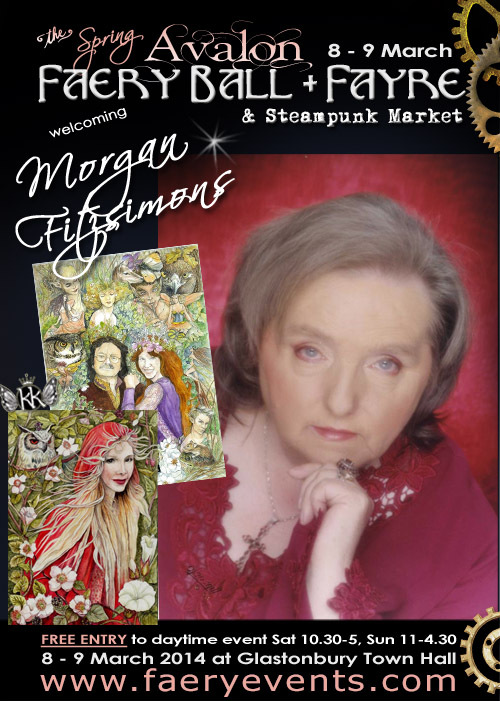 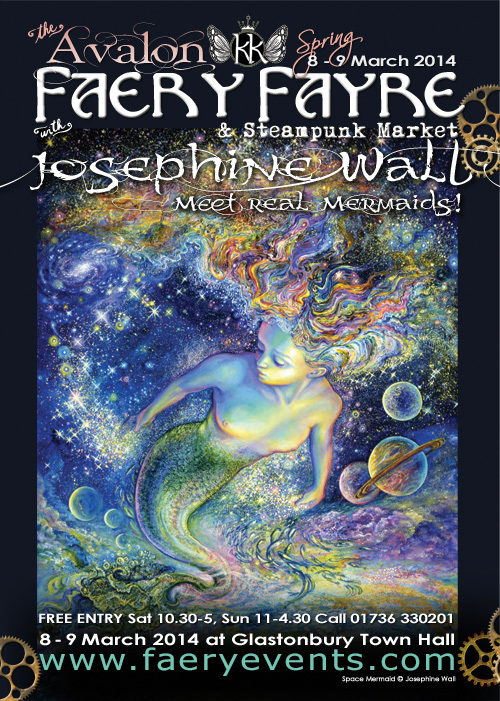 With special guests Brian & Wendy Froud, Josephine Wall, Paul Kidby, Aaron Pocock, Terry English, Morgan Fitzsimons, Linda Ravenscroft, Cherrie Button, Armorel Hamilton, Julie Carter, and many more celebrated artists and crafts folk from within the faery community. 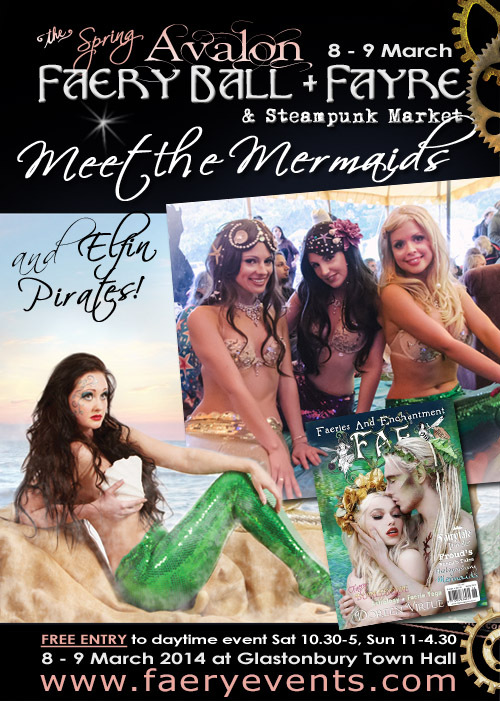 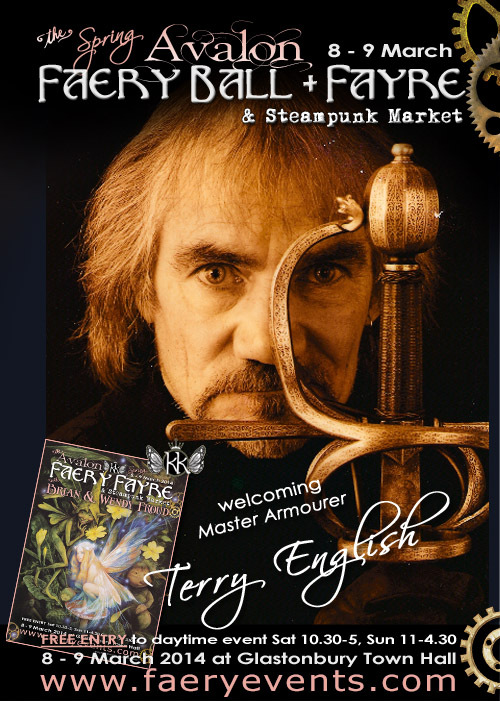 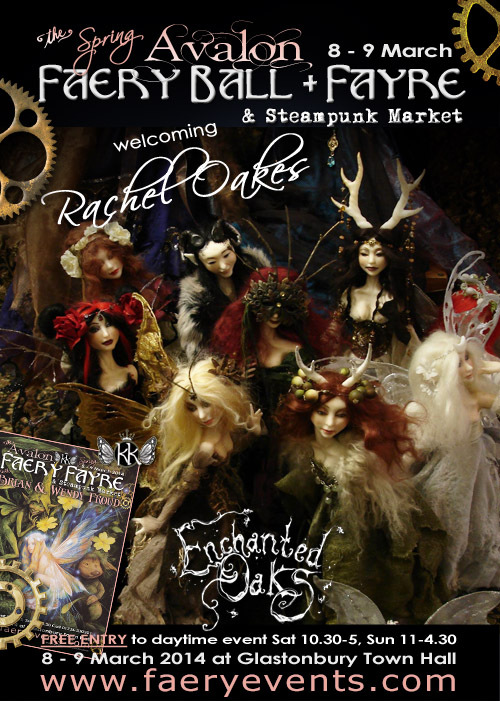 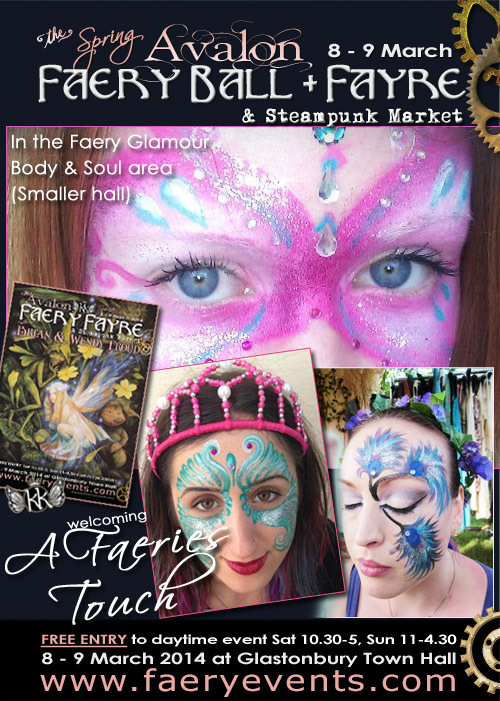 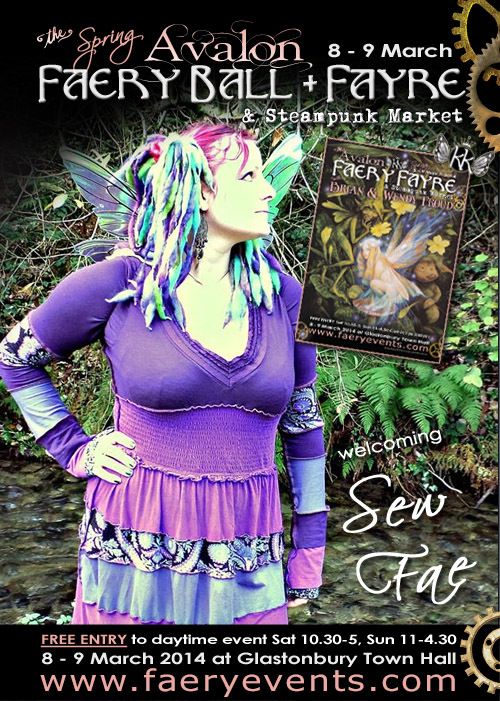 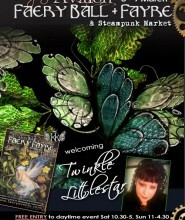 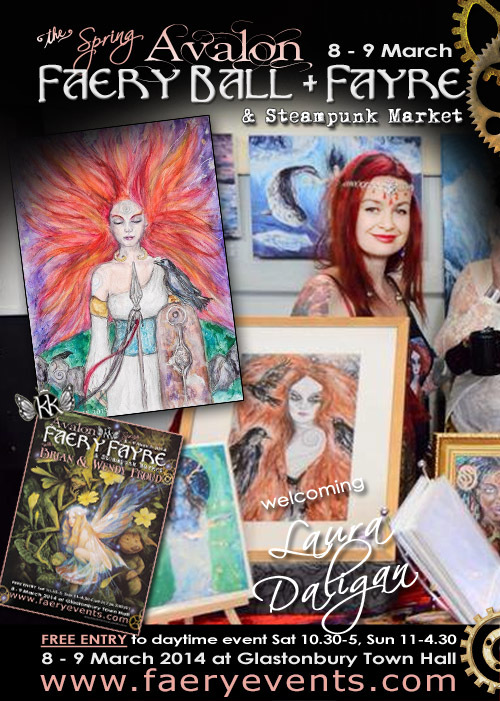 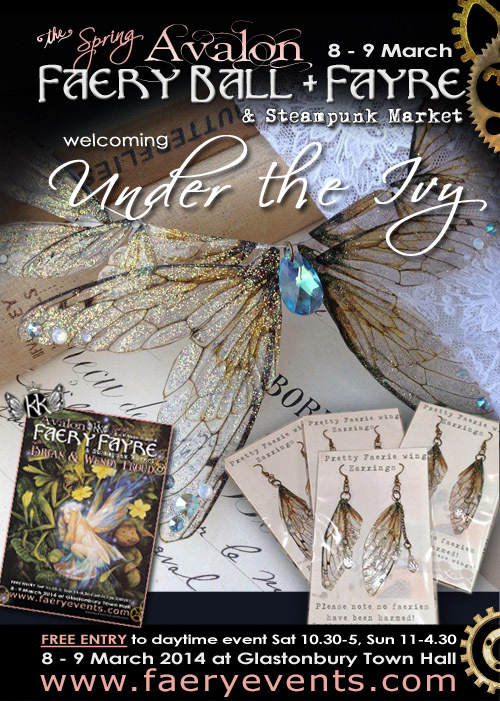 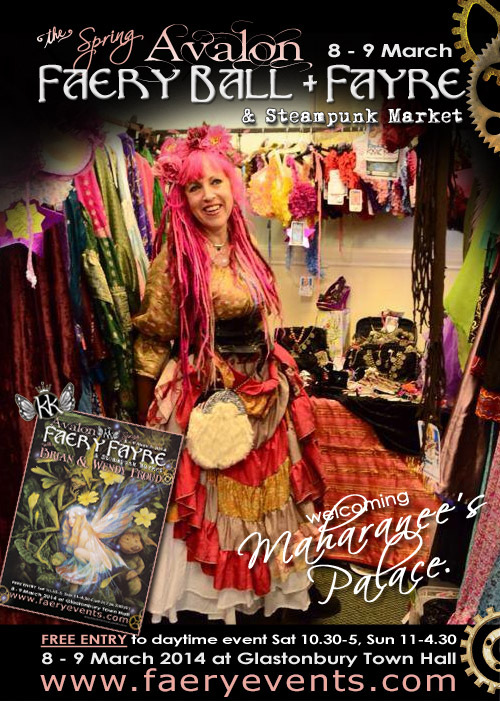 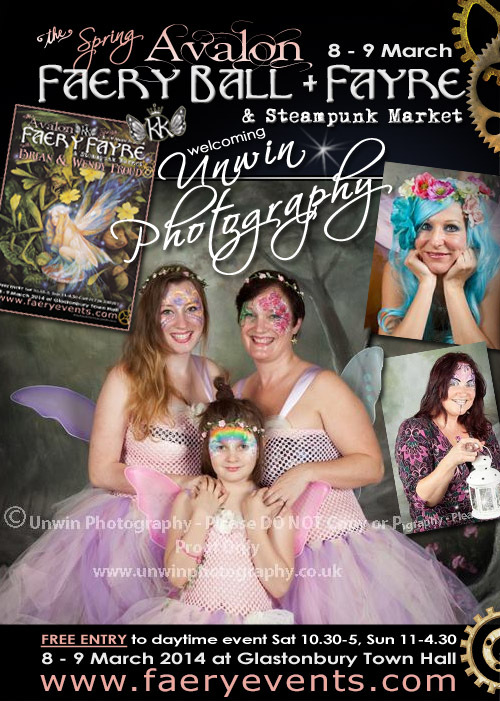 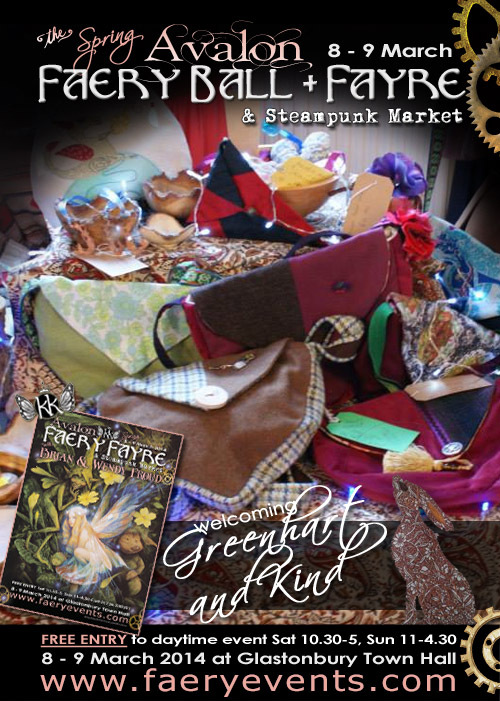 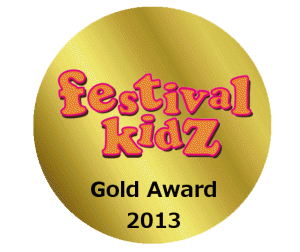 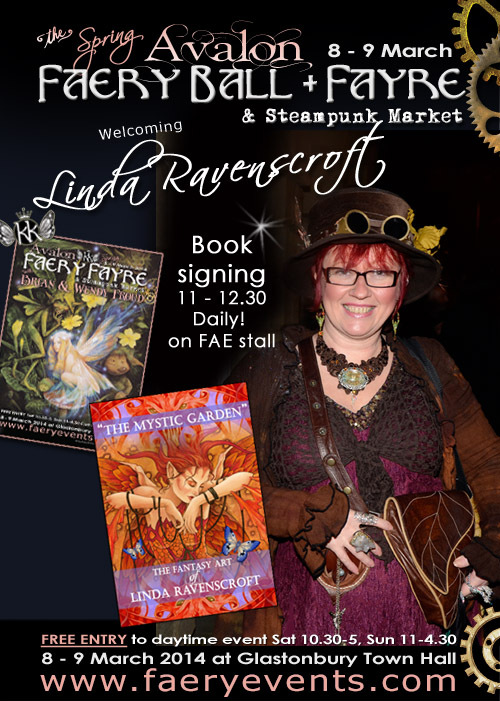 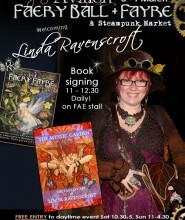 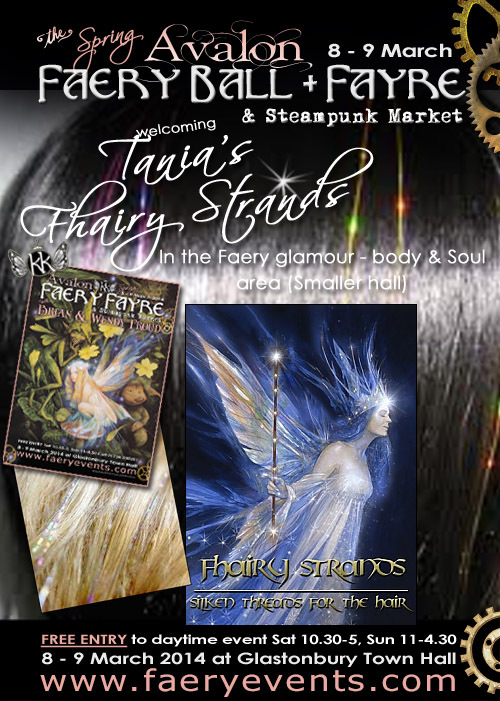 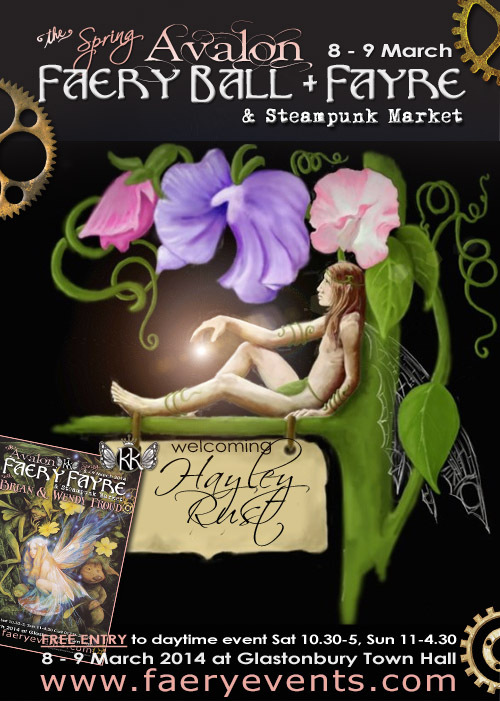 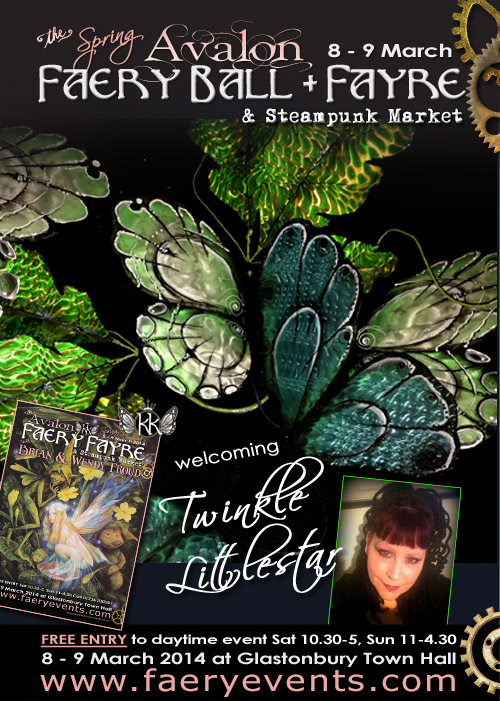 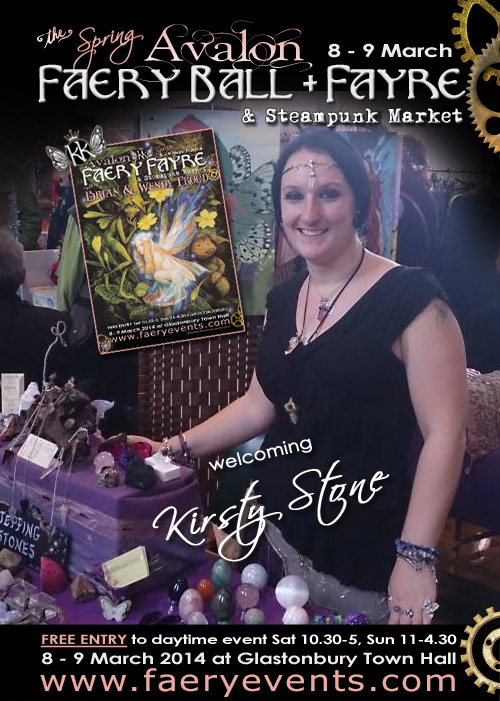 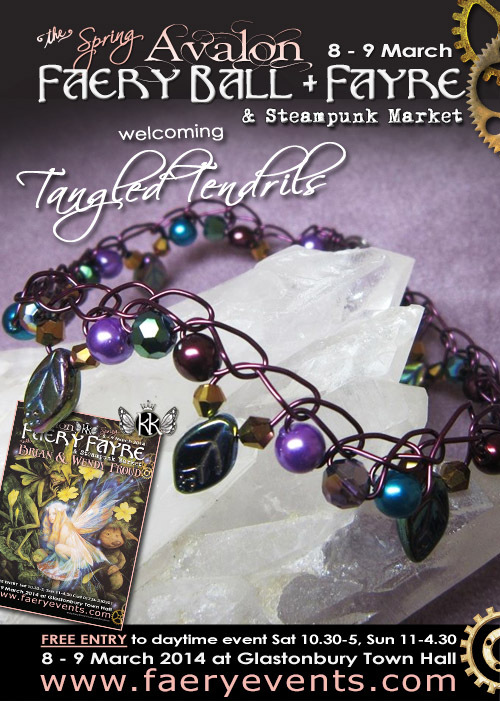 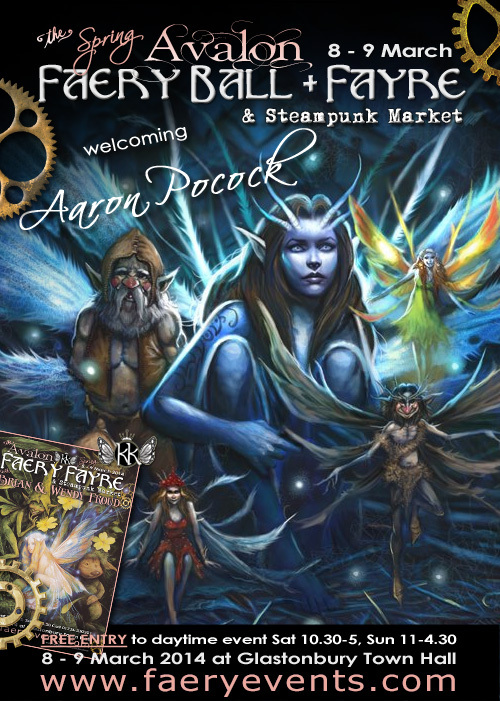 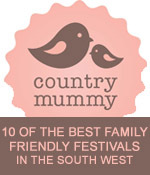 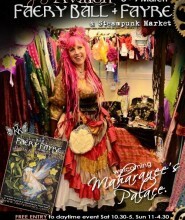 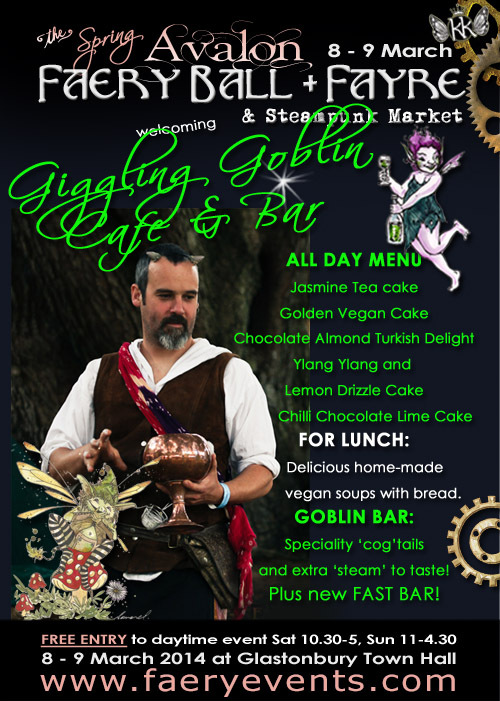 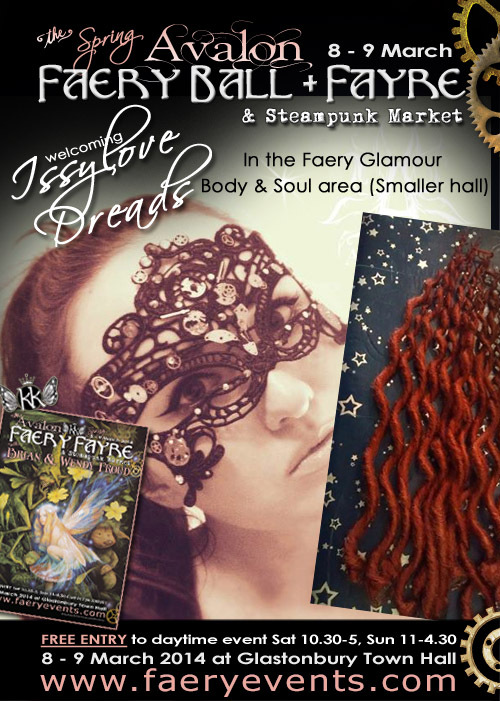 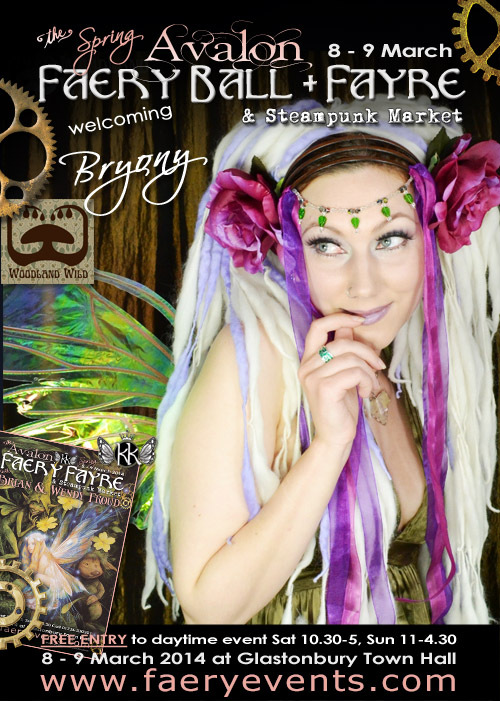 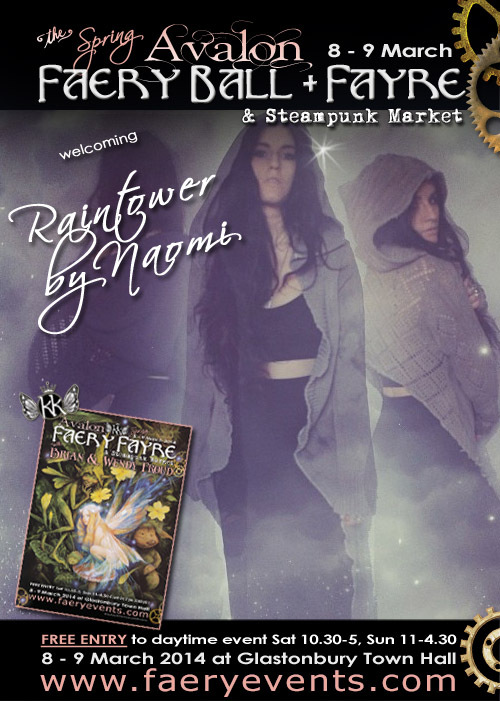 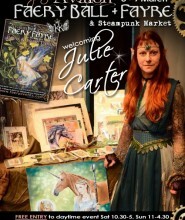 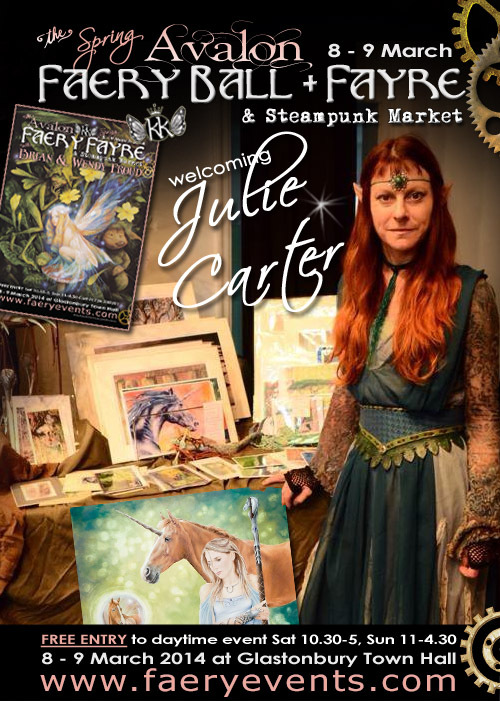 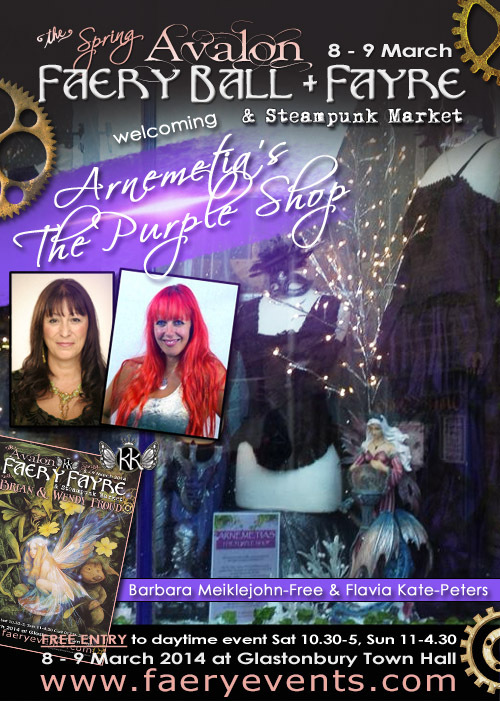 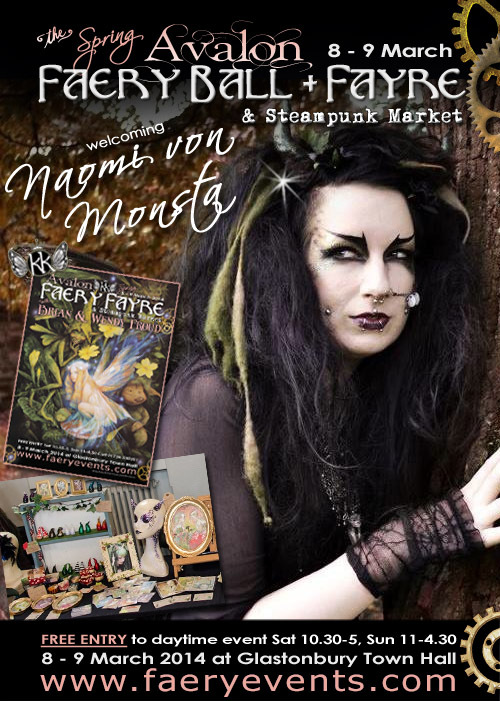 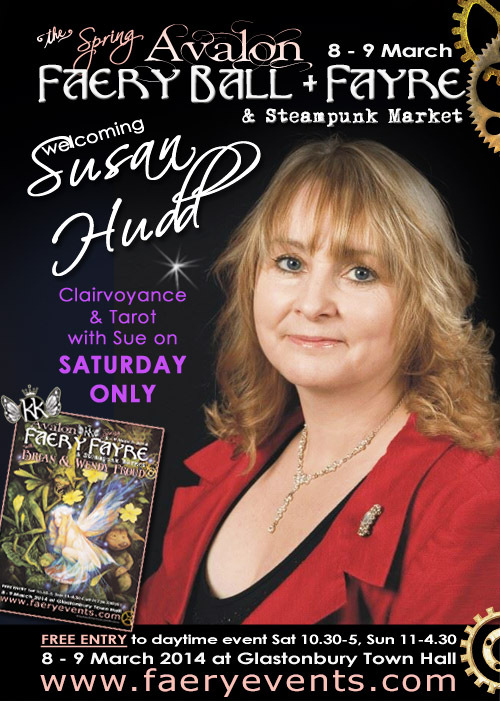 Entry to the Faery Fayre is FREE and opens between 10.30 – 5pm on Sat 8th March and from 11am – 4.30pm on Sun 9th March 2014. 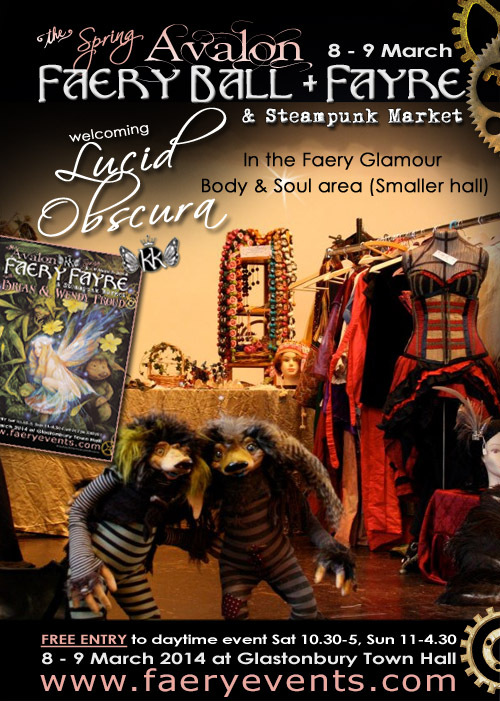 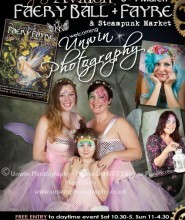 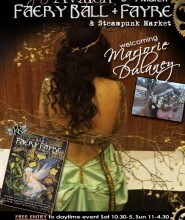 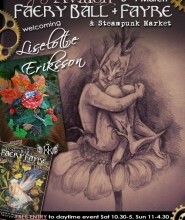 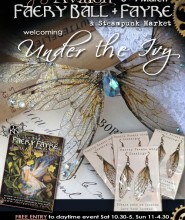 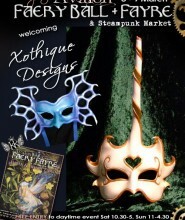 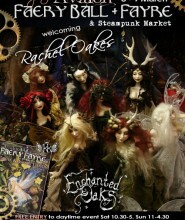 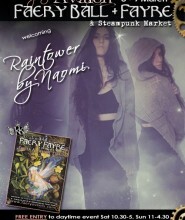 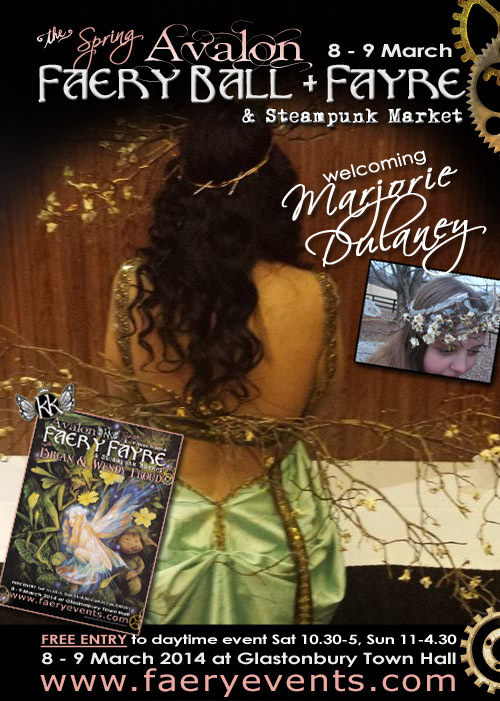 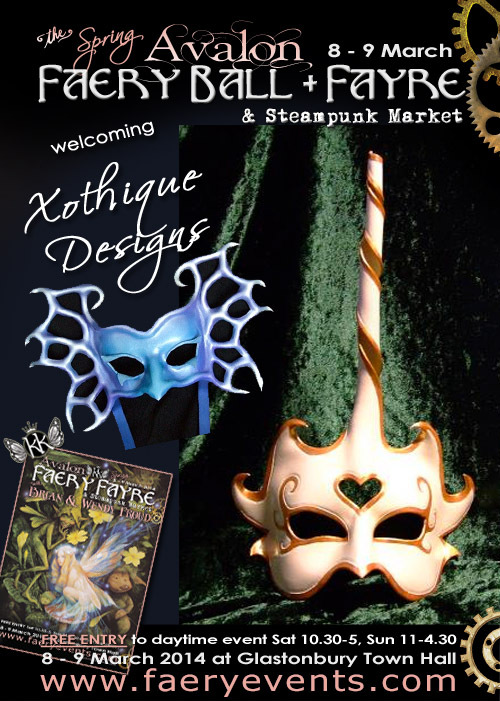 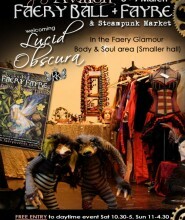 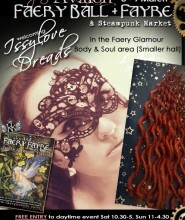 On the evening of Saturday 8th March there will be our infamous Faery Ball! 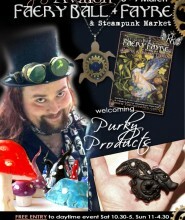 This time with a Steampunk theme! 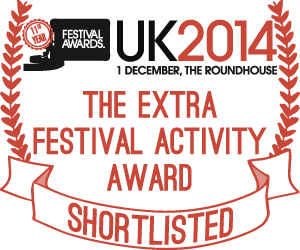 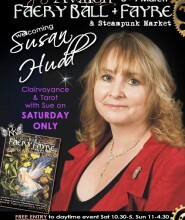 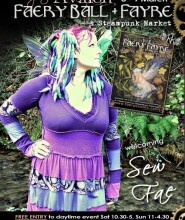 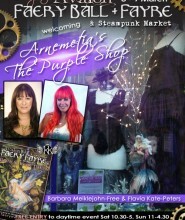 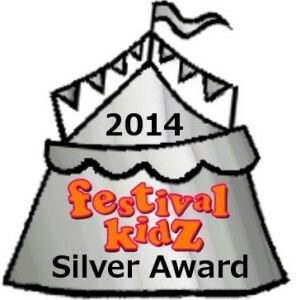 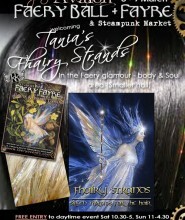 For tickets visit the FAE Shop. 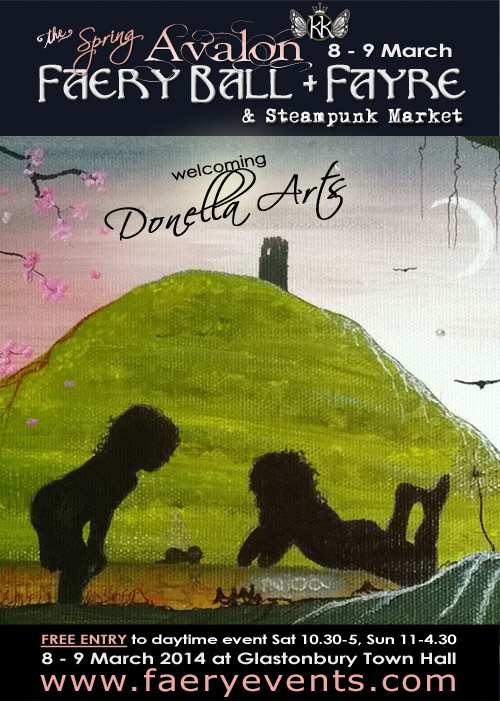 Please check back for regular updates to our gallery of exhibitors, artists and crafts folk who will be attending this event.